April is here and it's time for Summer Fun! But of course, basking in the sun, don't forget to hydrate yourselves! The new Starbucks® Summer Frappuccino® Blended Beverages would do the job; playful multilayered Frappuccino® that's set to bring the summer fun to your tongues. 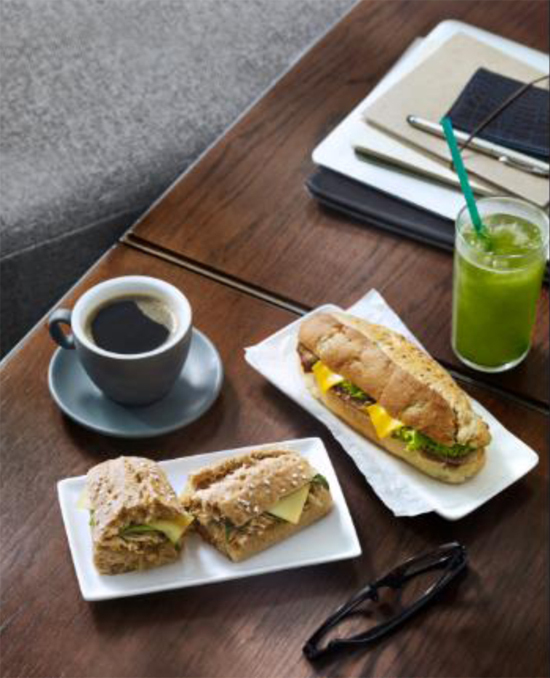 Starbucks Singapore has come up with 2 new beverages for their vivacious, beautiful and diverse customers - Starbucks® Pop-Zel Coffee Frappuccino® blended beverage and the Starbucks® Strawberry Coconut Bliss Frappuccino® blended beverage. Taking cue from the expressive spirit of our customers, each Frappuccino® blended beverage has a personality of its own. The savory but sweet Starbucks® Pop-Zel Coffee Frappuccino® blended beverage is open-minded and daring, while the tropical-inspired Starbucks® Strawberry Coconut Bliss Frappuccino® blended beverage is stylish and light-hearted. 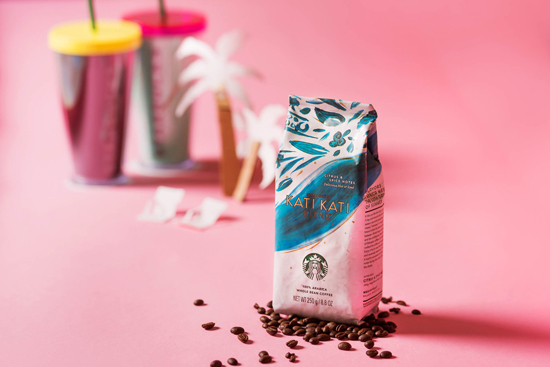 The classic Coffee Frappuccino gets a tasty twist of hybrid with our favorite childhood treats to give life to Starbucks newest sweet and salty drink. 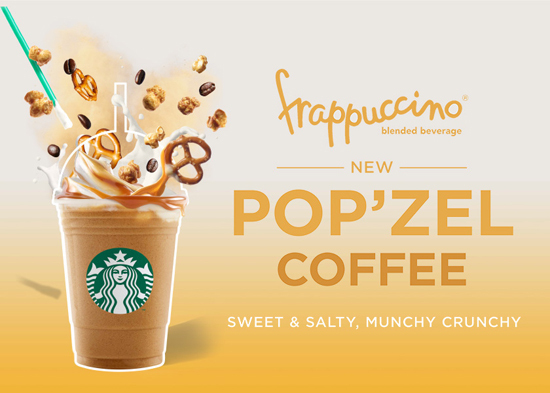 Meet the Pop’zel Coffee Frappuccino where popcorn and pretzel syrup get together with coffee, milk and ice for a rumble and tumble in the blender, topped with fluffy whipped cream, caramel popcorn and salted pretzel. Get ready for a party in your mouth! 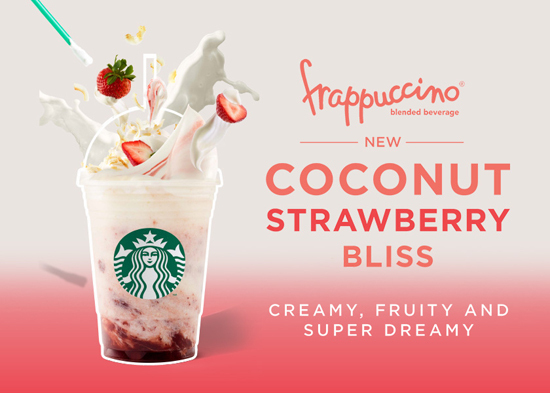 Combining some of the most on-trend flavours this season – coconut and strawberry – savour the blissfulness of the Starbucks® Strawberry Coconut Bliss Frappuccino® blended beverage whilst enjoying bites of strawberry pieces and toasted coconut flakes with every sip. Cream Frappuccino blended crème is infused with a blend of toasted coconut flakes and coconut powder, then strawberry puree is swirled in to create a deliciously sweet marbled effect. Topped with whipped cream and coconut flakes for extra crunch. The warmer weather is also the perfect time to sip a brewed cup of coffee, whether in store or at home. The Starbucks® Kati Kati Blend is made from East African beans that produce a medium bodied and distinctive citrus flavor – just in time for the season. Taste the striking invigorating balance between the citrusy, spicy notes and the subtle floral aromas for yourself. Also available in Iced VIA Ready Brew sachets for when you want to take your refreshment on the go. Banish those mid-day hunger pangs with our wholesome food menu featuring 13 brand-new items, including the Black Pepper Beef & Smoked Cheddar Broccoli Baguette, Seafood Chowder Pie and Vanilla Custard Brioche. Made with premium and natural ingredients, without artificial trans-fat, artificial coloring, or high fructose corn syrup, our sweet and savory options are great whether you are just looking to satisfy a craving or if you prefer a heartier meal. Check out our website to discover our full menu! Inspired by the energetic spirit of summer, this season, customers can choose from a selection of bright and beautiful mugs, tumblers, water bottles, cold cups and totes in fun summer designs and colors. The collection draws youthful yet sophisticated tropical patterns in rich bright colors paired with darker jewel tones.